Home Releaf Events RELEAF 6 MONTH ANNIVERSARY PARTY!!!! 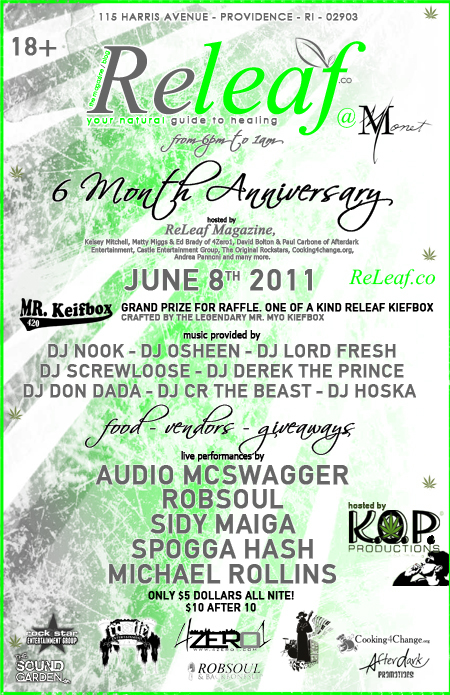 RELEAF 6 MONTH ANNIVERSARY PARTY!!!! Next articleThe New Sheriff of Medical Marijuana :: OBAMA! Oh yea, yet another Bang out.Releaf Events ROCK!!! Oh man Cant wait to get down at this event…Round up your friends they will be sooo re-leaved. Will there be a medicating area? we ask that you medicate before the event. ….CAN’T WAIT TO SEE THE KOP!! Issue # 33 Available Now!